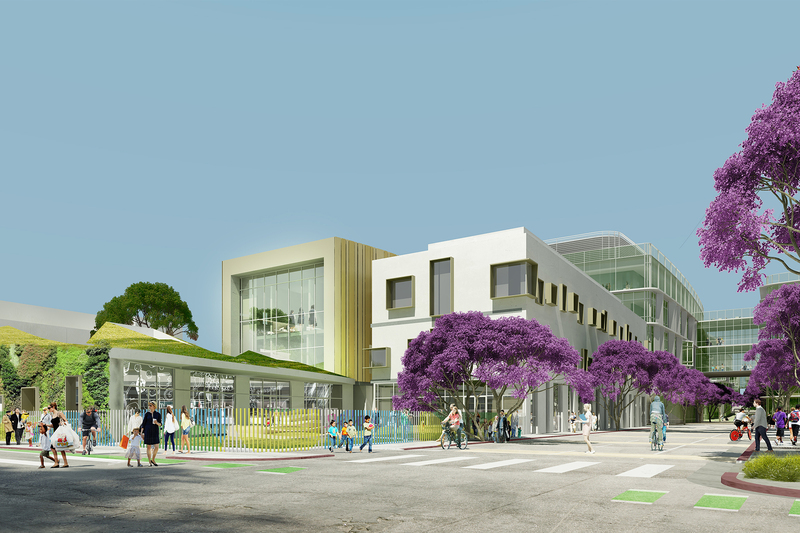 Spanning several City blocks, this ambitious Master Plan expands the hospital facility to include additional buildings supporting medical research, ambulatory care, health and wellness, community education, child care and visitor housing. 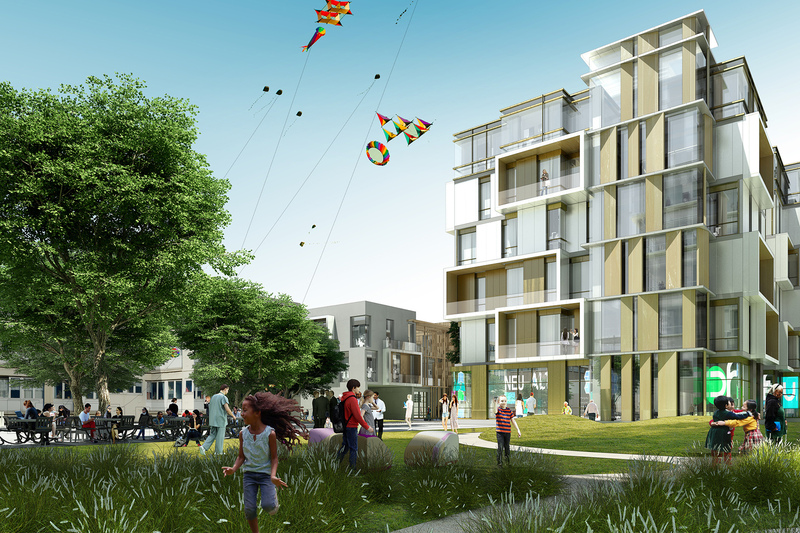 PB&Co collaborated with the design team on large-scale urban design improvements, introducing two new pedestrian-oriented streets to aid circulation and break up the super-block. 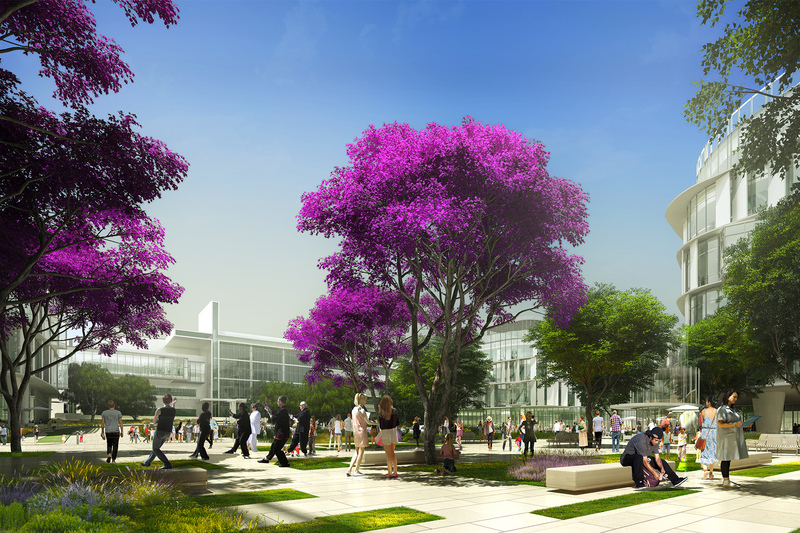 The firm also focused attention on design elements within the campus, 35% of which is mandated open space. Integration of the landscape as part of the healing process is a key element of the ten-acre site. 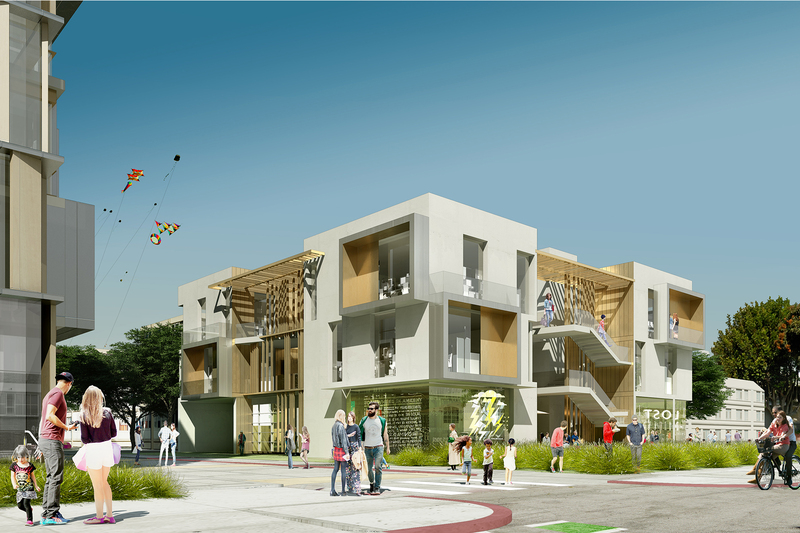 A Wellness Walk weaves together the various pedestrian areas, from a contemplative garden on the north, to the existing hospital entry, across busy Santa Monica Boulevard to a new urban plaza, Saint John’s Square, and down a “living street” to the childcare and housing spaces. Two additional gardens provide open space and recreational opportunities for staff, patients, neighbors and visitors.